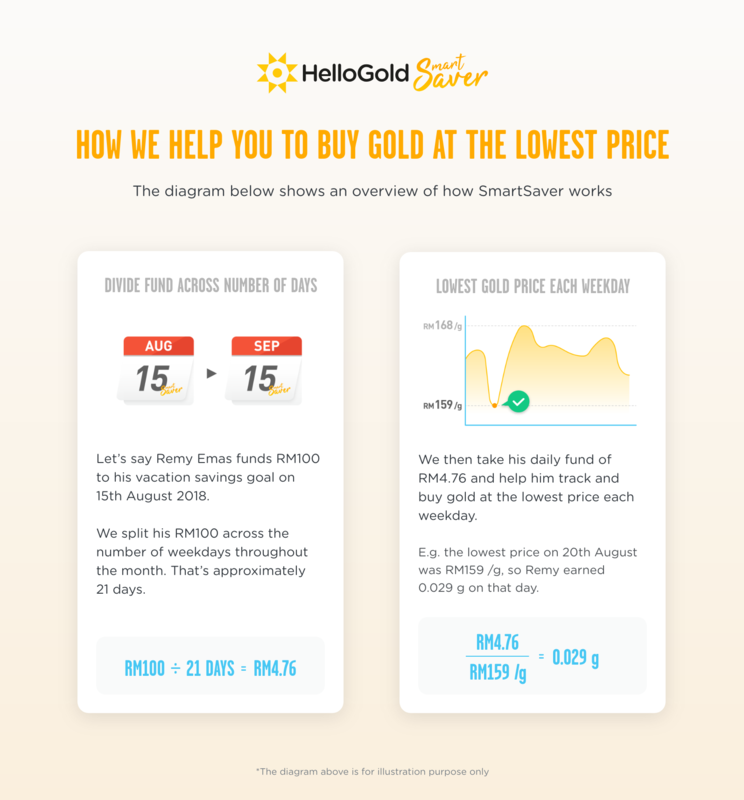 /HelloGold SmartSaver /How does it work? Commit to a monthly amount of money you would like to save. Each time you add funds to your SmartSaver account, HelloGold will buy gold for you every working day, for one calendar month at the lowest price of each working day.